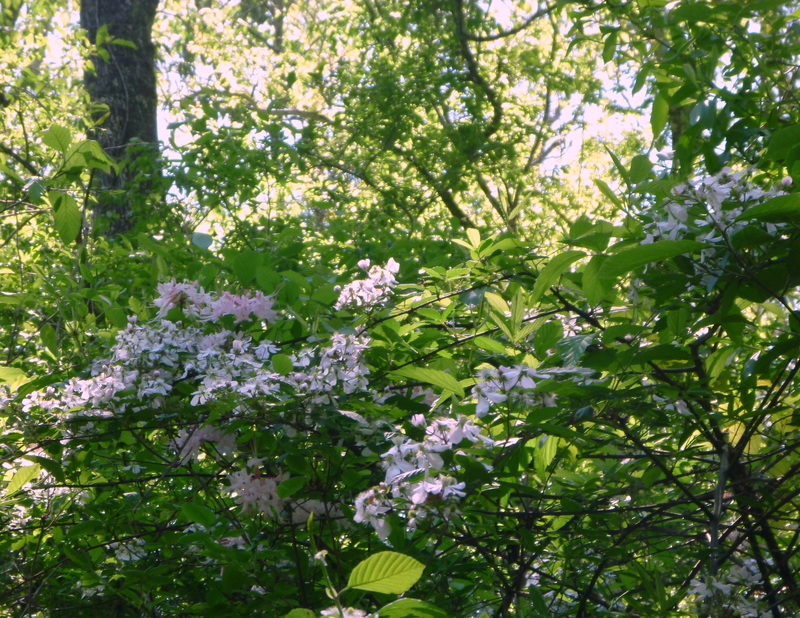 The flowers were blooming throughout Womack Creek on April 10, 2014. The azaleas continue their blooming, with full, large heads. We were happy to see many smaller bushes in flower, replacing some of the older bushes which were replaced by flood waters of the two previous years. Although the Walters Viburnum and the Parsley Hawthorne have peaked, this was a year of Pinxter, Walters and Parsley Haw — more shrubs of these than we have ever seen. 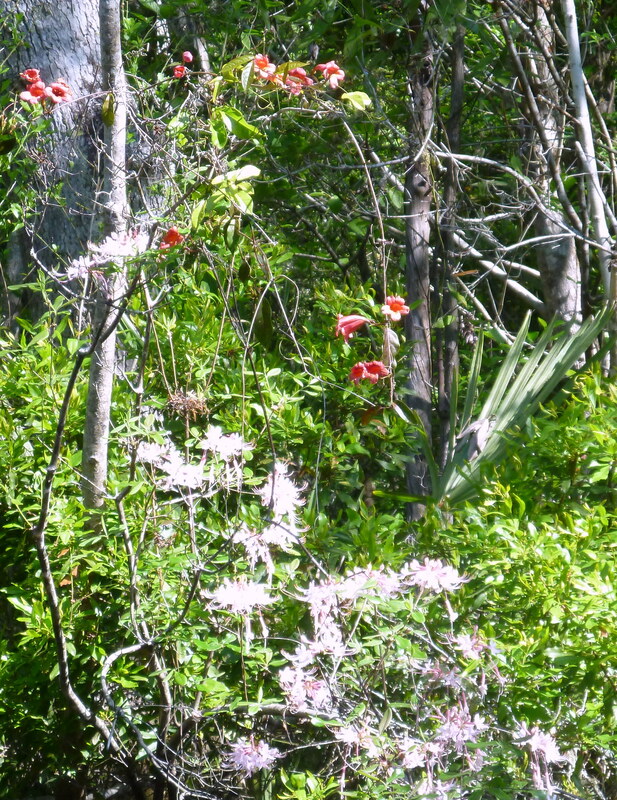 Pinxter azaleas and swamp sweet bells. 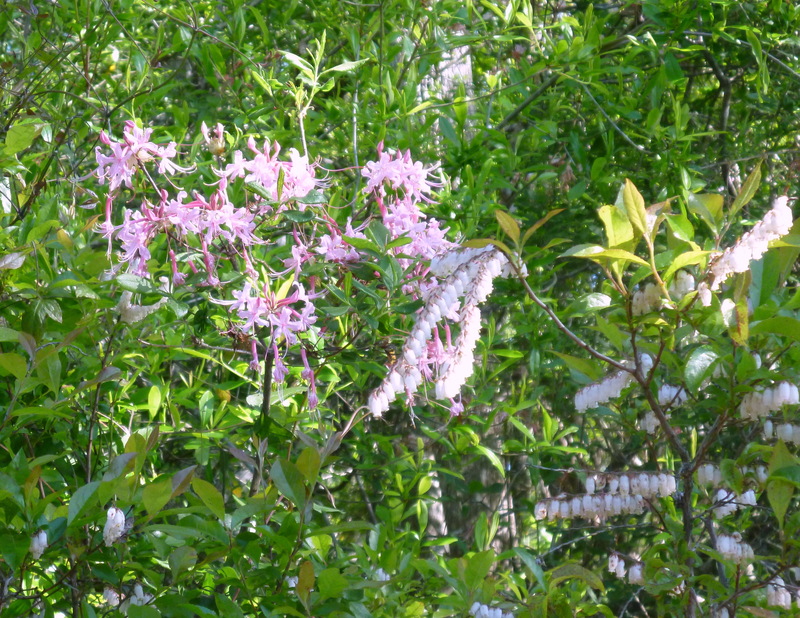 Pinxter azaleas and cross vine blossoms. 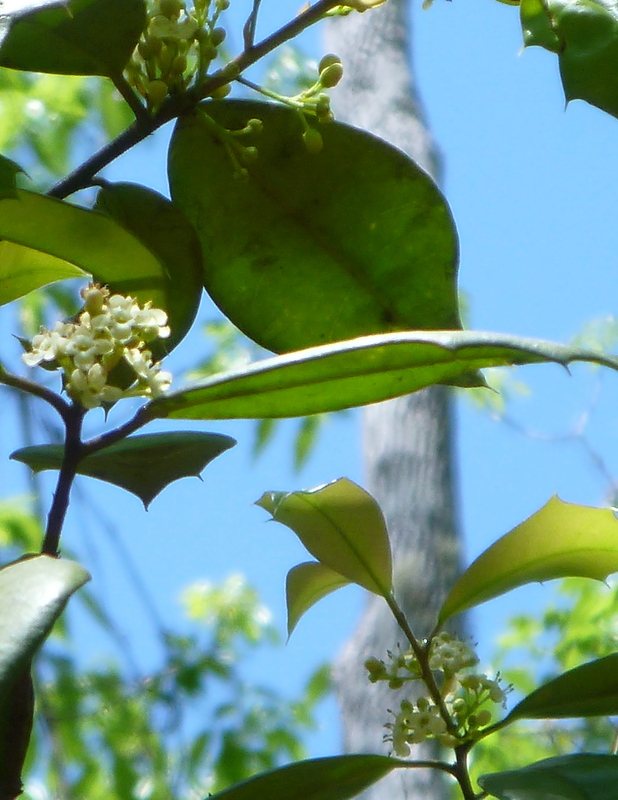 Cross vines with orange blossoms at eye level and all the way up to the trees. 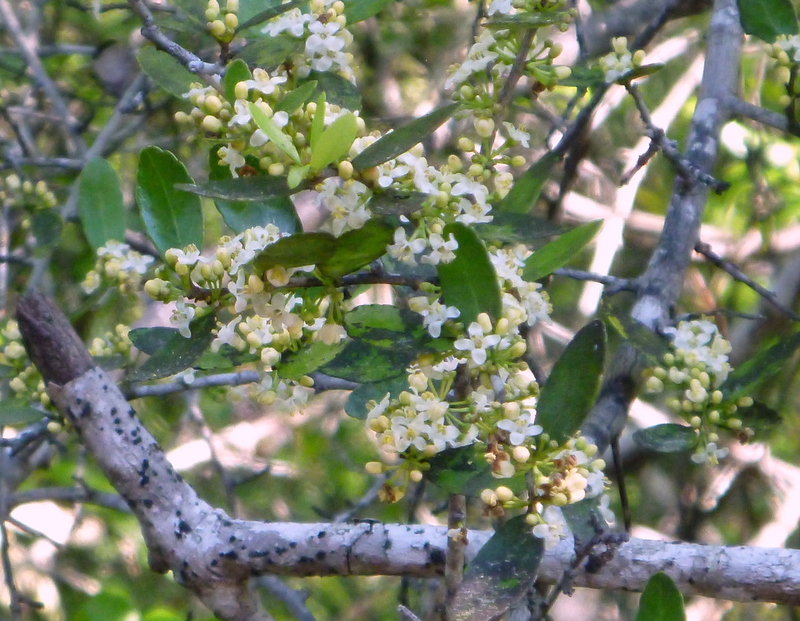 Yaupon holly the first of three native holly species to bloom on the creek. 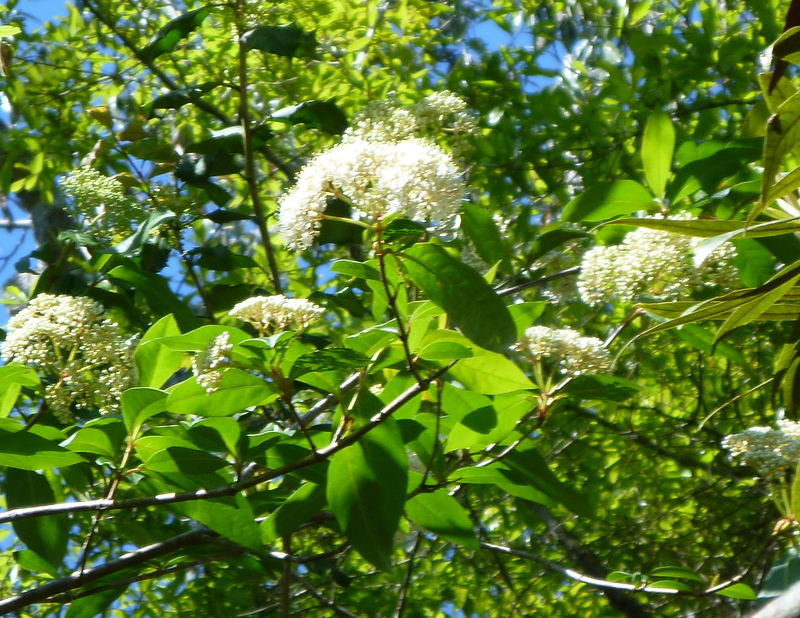 Rusty Blackhaw — on upper 1/3 of Creek. 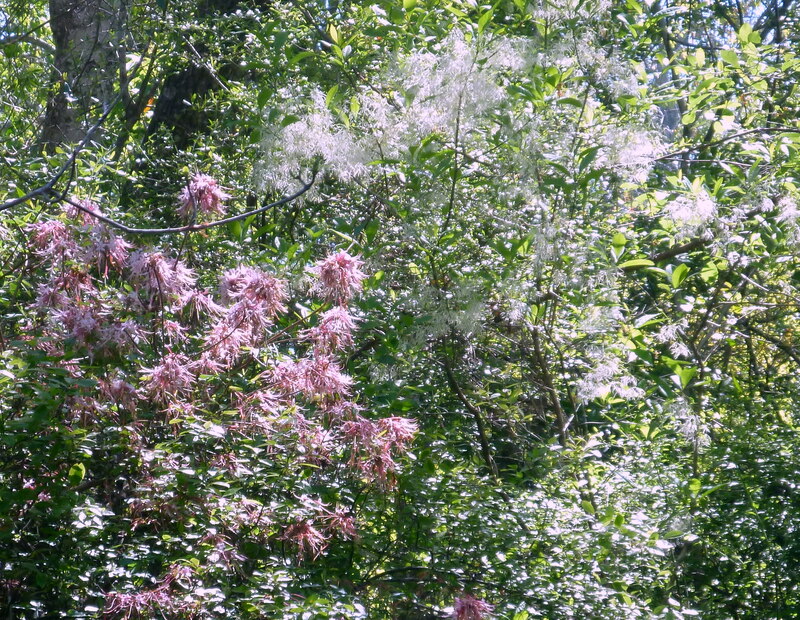 Close up fringe trees. They were blooming through the creek. 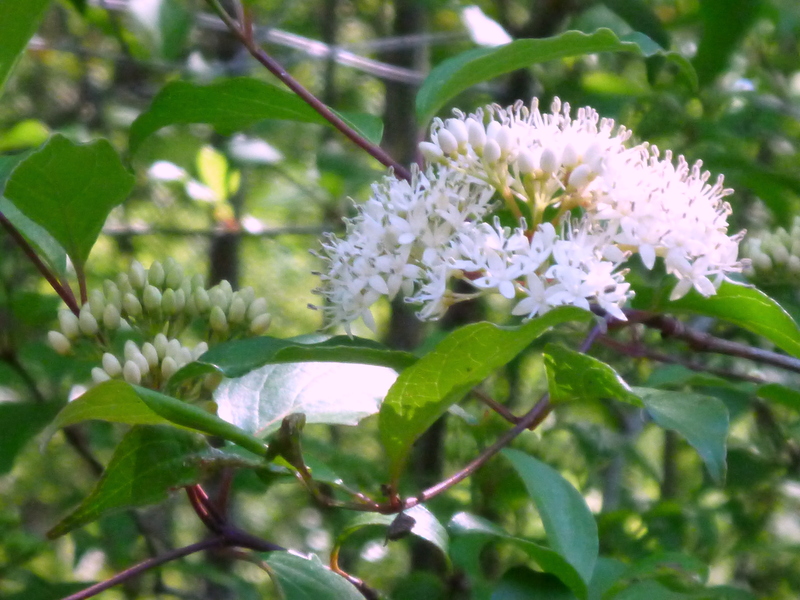 Swamp dogwood just beginning to bloom — many shrubs still in bud throughout the creek. At Nicks Road primitive camp site a good place to stop for lunch: azaleas, candy root, and salvia with its blue blossoms. Blackberry bushes all in bloom throughout the creek. 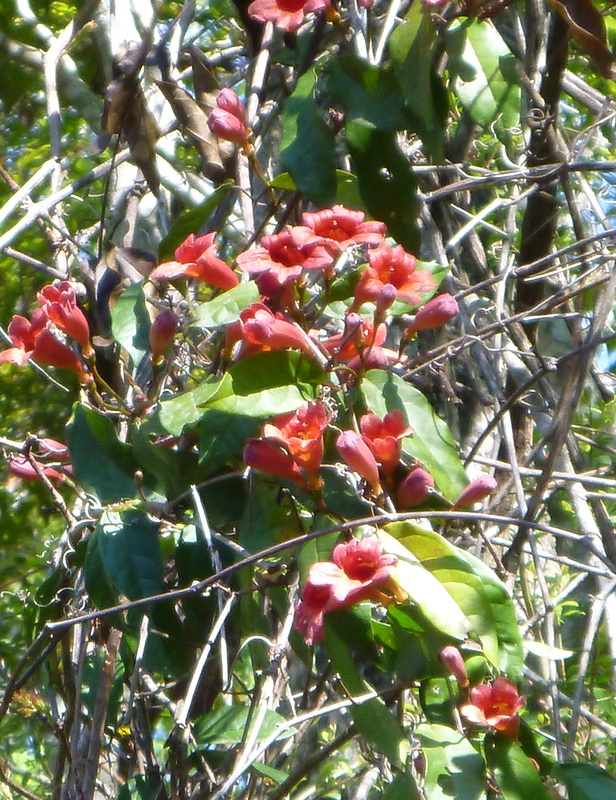 Not too far behind the yaupon, a few American holly bushes beginning to bloom. 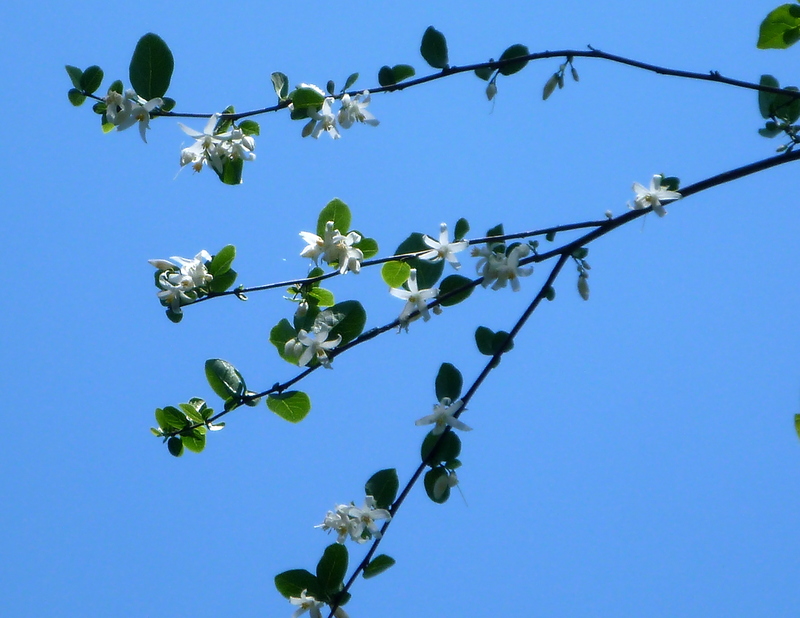 American snowbells, the first blooms. 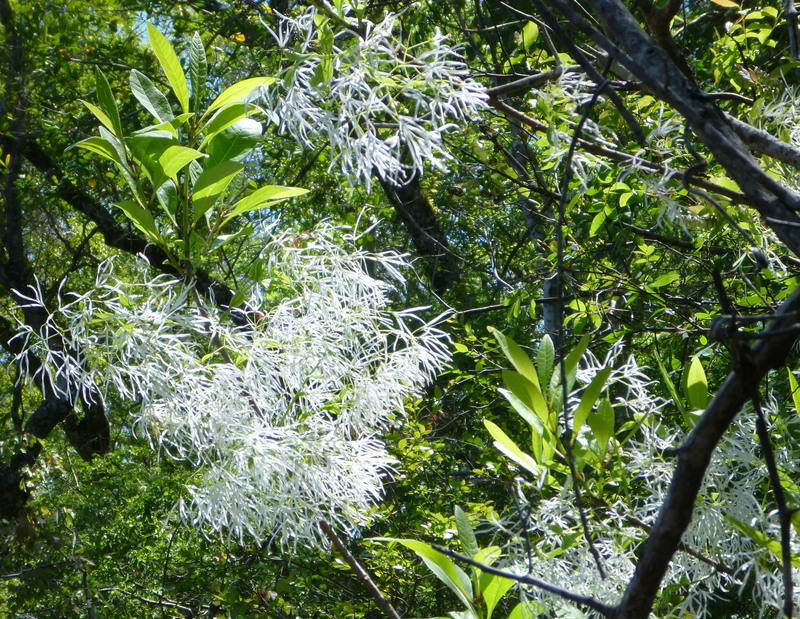 Of all the waterways in Tate’s Hell which can be paddled, Womack Creek seems to have the most diverse of blooming plants and trees. Also beginning to bloom are the Virginia willow (sweet spice), and ogeche tupelo, the last of the trees to bloom on the creek. The ogeche tupelo from which nectar the bees cook up tupelo honey has small round buds. When they are fully opened the sound of honey bees is discernible as one paddles near the trees. With the temperatures in the high 60’s and a southerly breeze, the fragrance of flowers was noticeable while paddling the creek. 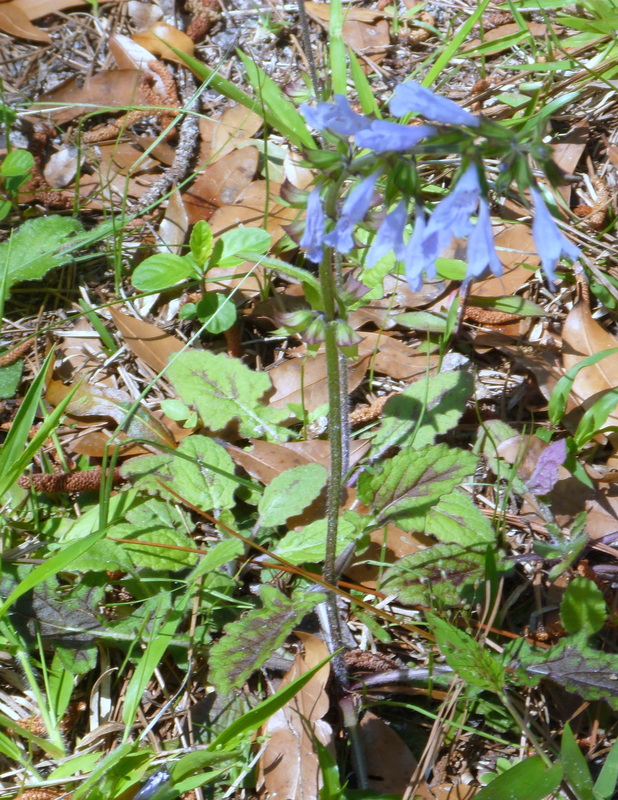 This entry was posted in Tate's Hell State Forest, Tate's Hell wildflowers, Womack Creek and tagged Florida native wildflowers, Tate's Hell State Forest, Womack Creek, Womack Creek paddling on April 12, 2014 by marylynanded. This entry was posted in New River, Tate's Hell State Forest and tagged New River, Paddling Tate's Hell State Forest on April 3, 2014 by marylynanded.